All set for his Christmas deliveries, Santa and his helpers adopt a new form of transport. 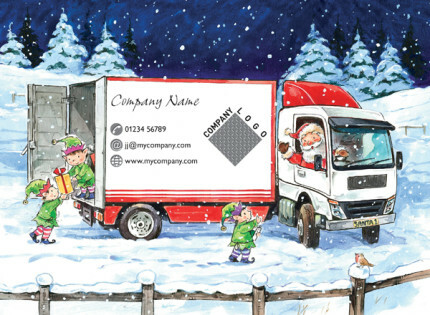 Santa's Helpers (CN0228) is a corporate Christmas card which is perfect for company, business and even personalised use. It can be personalised with your company name and/or logo printed on the side of the lorry.